Free Shipping within Ireland and UK, Free international shipping over 150 EURO. 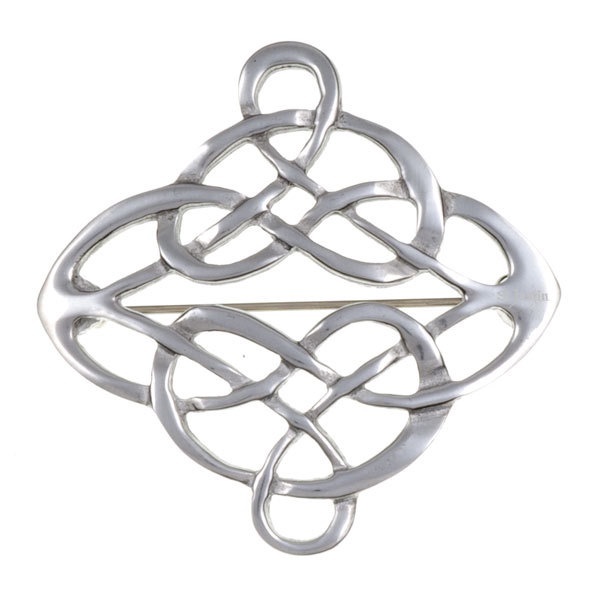 Pewter openwork linked knot brooch. Secures to a garment by way of a pin with locking, safety catch. The Celts used knotwork to decorate many of their artifacts. To them, the intricate patterns woven into spirals and knots symbolise the continuity of life. Located in Galway, Ireland. Specializing in Irish sweaters, coats, scarves, jewellery and accessories.